Order in next 13 hours and 34 minutes for despatch today. 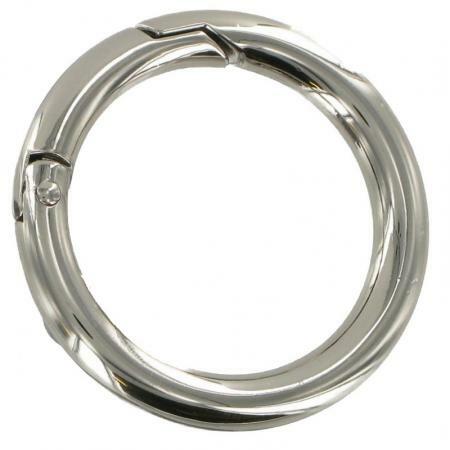 Circular or ring shaped handbag strap attachment in Shiny Brass with spring gate.This is ideal for connecting a handbag back to its strap and is widely used for this purpose. Available in; shiny brass, antiqued brass or chrome, choose from pull down menu below.